We are currently holding auditioning for tenors and basses! Visit our Auditions page for more details. 2012, 2015 and 2016 Voice Festival UK Community Champions and 2013 Winners of the Ward Swingle Award for Originality. 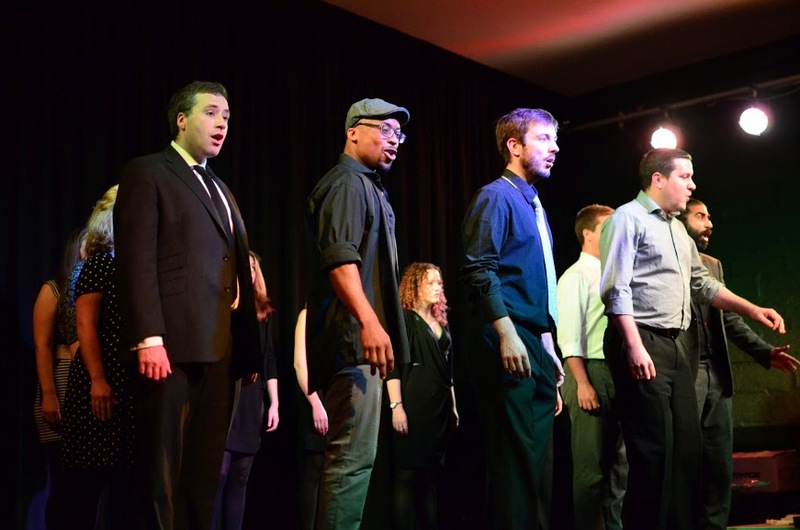 Since 2007, award-winning a cappella sensation In the Smoke has been bringing the cream of London’s vocal talent to audiences across the capital and beyond. All of In the Smoke‘s repertoire is arranged specially for the group by our members, making the most of our unique versatility and talents. Our members have sung with groups like Out of the Blue, Fitz Barbershop, The Alleycats, The Oxford Belles, In the Pink and The Techtonics; we boast among our ranks choral scholars, opera singers, madrigal enthusiasts and singer-songwriters; and our day jobs range from teachers, doctors, scientists and lawyers to arts and media specialists, engineers and environmental consultants. In the Smoke can belt out classics as well as any a cappella group – but nowhere else will you find our blend of great songs you know and great songs you don’t. And we won’t just stand and sing at you – from our notorious TV advert sketches and high-speed Disney medley (which crams 50 tunes into four minutes…) to our now annual a-ca-pantos, an In the Smoke performance is one smokin’ hell of a show. All content remains copyright of In the Smoke. Credit where it’s due: many photographs on the site were taken by our friend Ben Sparks.